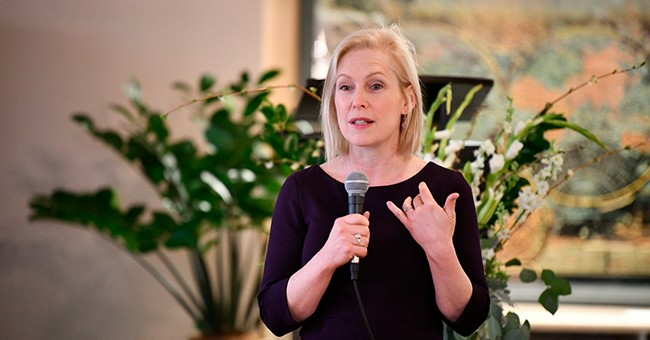 Sen. Kirsten Gillibrand (D-NY) announced her candidacy seeking the 2020 Democratic nomination for the U.S. presidency Sunday morning reports Fox News. "We need a leader who makes big, bold, brave choices. Someone who isn’t afraid of progress. That’s why I’m running for president. And it’s why I’m asking you for your support,” the New York Democrat said in a video entitled "Brave Wins." As noted Fox News, "The move comes two months after Gillibrand set up a presidential exploratory committee -- which allowed her to raise money and build a campaign structure -- and began introducing herself to voters in Iowa, New Hampshire and South Carolina – three of the four states that kick off the primary and caucus calendar - as well as California and Texas, which hold contests immediately after the early voting states." "Her announcement comes one day after Gillibrand wrapped up her third trip this year to New Hampshire, which holds the first primary in the race for the White House. " With the move, Gillibrand becomes the 16th candidate vying for the opportunity to run as the Democratic nominee.